I can’t even remember the last time I did an outfit post on my blog.. a while ago! But at last summer has finally hit and the weather has been beautiful lately. Yumi are running #Yumi30DaysOfSummer campaign and are asking 30 fashion bloggers what their favourite Yumi summer outfit is. 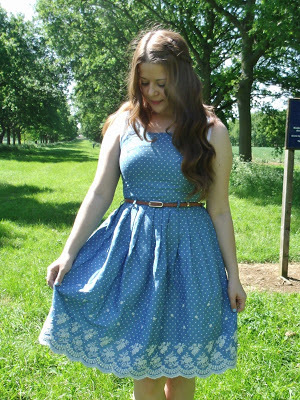 I chose this stunning Polka Dot Chambray Dress from their new SS15 range as my outfit to wear last Sunday. A cotton dress is a summer style staple for me, and I love this one because it’s the perfect length for me and also has a flattering shape as it nips in at the waist. The gently pleated skirt sits just above the knee and it comes with the tan skinny belt. I adore the fun polka dot print, pretty scalloped hem, and embroidered daisies on the skirt. It was such a beautiful warm day that I didn’t need to wear a cardigan or anything on top, but I do think that this cream lace trim kimono would look perfect paired with the dress. I wore some little tan coloured shoes with the dress to coordinate with the belt, and a little tan satchel bag. 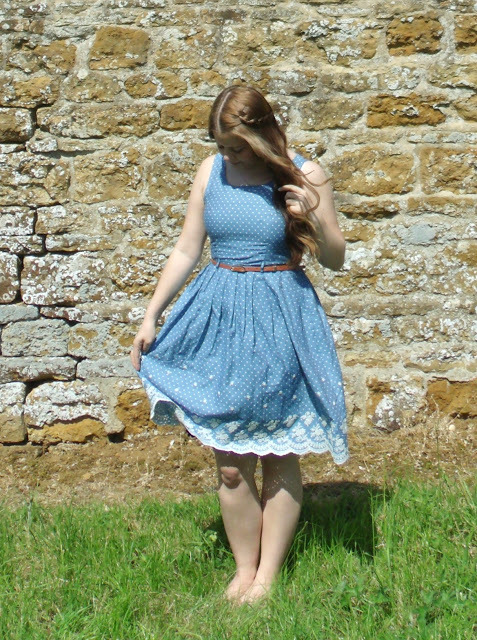 I love the dress and it was perfect to wear for our family day out in a little village in Northamptonshire. We went for a little walk around the pretty village and then went to a gorgeous old country pub for a Sunday roast.. yum! Luckily I didn’t coat myself in gravy (for once!) 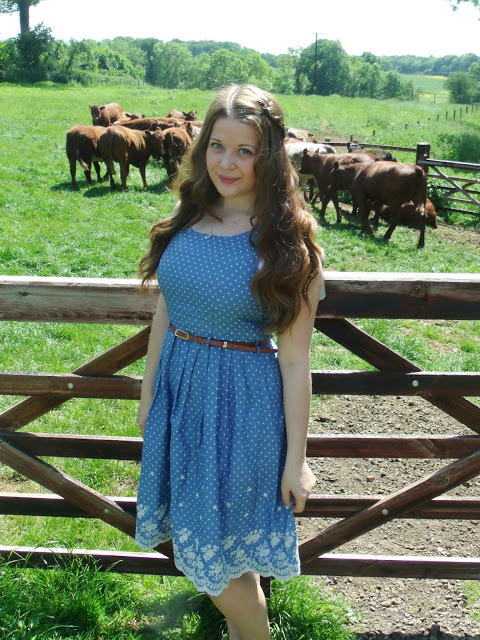 and I can’t wait to wear the dress again for another lovely summers day in the UK. That dress really suits you, and the colour is gorgeous. 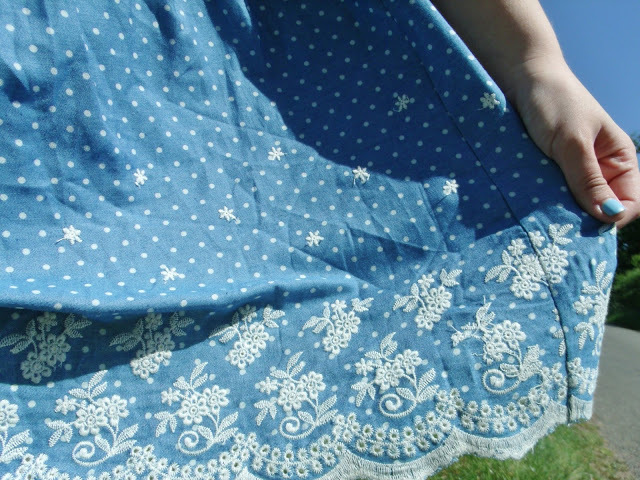 I love the hem, it's so pretty. It looked like such a lovely day! beautiful dress and looks so good on you! I have always wanted to try a Sunday Roast, they look so yummy! I love that dress, never heard of that brand before but really want to try them now.